Join Lucie Whitehouse and Julie Corbin at the Bloomsbury Institute on Tuesday 22nd July 2014 as they discuss The Rise of the Domestic Thriller. The talk will be chaired by journalist Alex Heminsley. Psychological thrillers in which girlfriends mysteriously disappear, husbands turn out not to be who you thought they were (or end up roasted and eaten) have gripped the nation. We peer under the covers of the domestic thriller to find out what it is we love about a gripping suspense that’s too close to home for comfort. 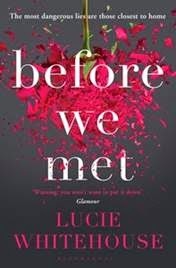 Bestselling author of Before We Met, Lucie Whitehouse, and serial psychological thriller writer Julie Corbin discuss the rise of the domestic thriller and reveal the twists, turns, lies, secrets and shocking revelations in their own novels with journalist, broadcaster and author Alex Heminsley. Julie Corbin is the author of Do Me No Harm. She has three children and lives in Sussex with her husband. She combines writing psychological thrillers with running the medical centre in a boarding school. 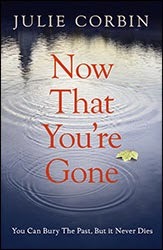 Now That You’re Gone is her fourth psychological thriller. Alexandra Heminsley is a journalist, broadcaster and author. She is the Books Editor and contributing editor at Elle UK magazine and BBC Radio 2’s Claudia Winkleman Arts Show, and was the Book Club Expert on Sky1 Daytime Series Angela & Friends. She writes and reviews for many national newspapers and magazines and is the author of Running Like a Girl.